This is a reprint with permission from Juliet Getty, our favorite equine nutritionist, as always full of very important stuff. by Juliet M. Getty, PhD. GMO stands for “genetically modified organism.” GMO foods have been genetically engineered to withstand certain conditions or chemicals, in particular, herbicides that can tackle weeds — one of the most significant problems that farmers face. The development of plants that could survive when sprayed with a weed-killer was a dream come true for farmers desperate to find a solution to this overwhelming problem. I know you’re thinking that this information applies to you and your family. 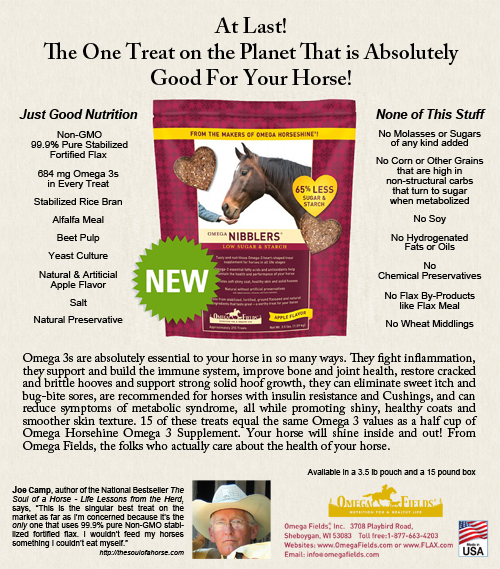 But let’s focus on the foods that your horses consume. Since there are GMO versions of soybeans, corn, alfalfa, canola, cottonseed (used for oil) and sugar beets, as well as GMO wheat in development, there is no doubt that your horse is affected. 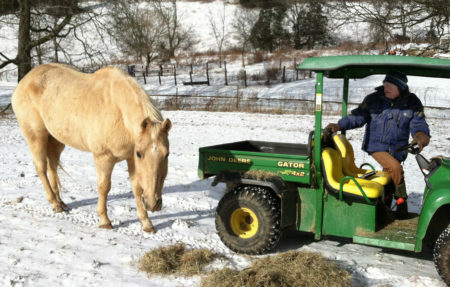 Yet, there is little research that specifically looks at glyphosate’s impact on horse’s health. There was a recent study using dairy cows in Denmark[vii], where it was shown that glyphosate intake significantly decreased their serum levels of cobalt and manganese. Additionally, they showed elevated creatine kinase (CK) and alkaline phosphatase (ALP) enzyme levels. CK is indicative of tying up (rhabdomyolysis) and possible kidney failure. Increased ALP indicates potential liver damage and bile duct blockages. According to the USDA[xiv], organic crops must start with organic seeds and be grown without the use of synthetic chemicals, irradiation, sewage sludge, or genetic engineering. That means that to be certified as organic, it must also be non-GMO! And since non-GMOs do not necessarily protect you against glyphosate contamination, you are much better off seeking organic products. It is far more expensive to be organic than non-GMO, since “non-GMO” is a subset of organic. Companies who are proud to offer organic products are educating their consumers by using this type of labeling.